Very few people are exceptionally well-read on any one subject, and fewer still are masters of more than one area of expertise. Only the most versatile of people extend themselves any farther than that. 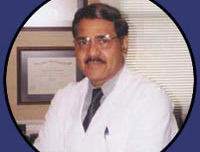 Dr. Prabhakar Kamath is one such man. Dr. Kamath has been writing a series of articles here on Nirmukta, on the evolution of religious thought in ancient India. His training as a psychiatrist and his years of research on the history of India have given him much insight into the nature of the Indian mindset. Dr. Kamath is also well versed in the Bhagavad Gita. What is unique in the way Dr. Kamath reads the Gita, however, is that he reads it side by side with the known historical accounts of the subcontinent. This has given him a unique perspective, apparent in his articles here. In this interview, we shine the light on another aspect of Dr. Kamath’s life’s work – his activism. After years of practicing psychiatry in the United States, Dr. Kamath moved back to India and through a series of events ended up founding and leading the modern consumer rights movement, the first of its kind in the country. This interview gives us a peek into the life of this great man, in the hope that some of his ideas and principles will influence us in our quest to promote freethought and rational thinking in India. At the end of a lengthy recording session, Dr. Kamath still had much to say. We have decided that he will come on the show again to talk a bit more about his activism. Future interviews are also planned to discuss Dr. Kamath’s insights into Brahmanism and Indian history. I have been following the invaluable series that Dr. Kamath has been writing here with great interest, as his focus mirrors my own approach to religion, society and politics. Analyzing religion alongside contemporary historical and archaeological information provides essential context that broadens understanding of its premises. I also have long held that religion is simply a tool of social organization which reflects the dominant cultural values and issues of the time period it developed within any given society; it is a form of fiat politics which is set outside the realm of critique due to its “holiness.” History reveals how this came about. I would like to suggest that if Dr. Kamath is amenable, that Nirmukta should collect this remarkable series (once complete) into a printed volume and sell it as a means of raising funds for the organization. I would most certainly purchase a copy, as I’m sure would others. Hi Leonard,I truly admire how cogently you captured the true spirit of my articles. I am glad to know that there is another kindred spirit out there who identifies with my approach to this vast subject. I do believe that we have to carefully sort through the heap of history, archeology, culture and religion, and meticulously separate grain from chaff, and reject what is archaic and learn from pearls of wisdom that show up from time to time. We must not irrationally throw out the baby with the dirty bathwater. We must recognize that lotuses grow in cesspools.The important issue is to recognize that these tools were useful at one time in history but have lost their usefulness now, and they have become hindrance to attaining peace in the modern world. As regards collecting the articles and publishing them in the form of a book, I am all for it and I shall forfeit any claim to it. The articles as they appear in Nirmukta are in the skeletal form. I deliberately made them so to avoid giving too many details lest they would be bored to death. Dr. Kamath, I was also thinking about this very same thing that Leonard brought up. I wonder if any publishers would be interested in putting out your series in book form. I do know that controversy sells, and such a book is certainly going to be controversial. As you may know, Dr. Wadhawan who is writing a series of articles on the subject of complexity is also on the lookout for a publisher. Of course, the financial rewards from any such work should go to you alone, for you to decide what you wish to do with it. One reason why I have been putting off bringing up the publication of your series is that, as was mentioned in the proposal for the Nirmukta organization, we hope to eventually start a publishing house. As you know, there are no publishers in India exclusively putting out titles that are of a rationalist/skeptical/atheist nature. If we started one it would be something along the lines of Prometheus books here in the US. Anyway, that is probably going to take a year or more to be realized, so if you are interested we can put the word out that you are looking for a publisher. It don’t think that any Indian publishers will put out such a book, but we may be able to find international groups willing to publish it. Perhaps even Prometheus. Do you have any contacts with media persons? I know a few rationalist reporters, some even friends of Nirmukta. Please do give this some thought. I think its a fabulous idea! As Ajit said , he knows rationalist journalist. I have great story indicates how Indian Consumer Judges are sold in hand of Builders. I went upto National Consumer Forum level and realized Buiders are Mafia and Judges are sold in hand of Mafias. Media is also biased, renowned news channnel told me over email that I am individual so they cant help. Other renowned Indian Newspaper said they get Ad from builders so can’t publish story and can’t help me to get justice. As a mature adult undergraduate student of political science and cultural anthropology (both with as much of a South Asian focus as I can get locally), I would be very interested in such a project. Further, I would say that if the articles you’ve published here are skeletal, a book should definitely put more meat on those bones. I would be happy to assist in some (research/writing/editorial) capacity as needed. The Prometheus route might be an option, as their offerings seem very compatible to this sort of thing. The project would have to be more fully-formed as to a length estimate and so forth according to their submission page (http://www.prometheusbooks.com/?main_page=page&id=1), but that would clearly be later in the process. I’m sure there are other options as well, including the e-book route via Amazon and so forth. I suppose it all depends on how “formal” the final product would be. In these days of personalized on-demand media, there has to be a way to make it happen. Brilliant interview, Dr. Kamath and Ajita. That was a wonderful insight into this movement. Also, I do hope the book comes out soon, as clearly there is demand!